Whether you’ve been organising events for years or are planning a party for the first time, there are always good tricks to learn. We’ve prepared a series of free to download, useful guides that cover all aspects of organising an event and will help ensure yours is a huge success. Think we’ve missed anything? We’ll be continually adding to these resources so let us know and we’ll add it to our list! Think you need help with your event? Give us a call and let’s start planning something amazing! 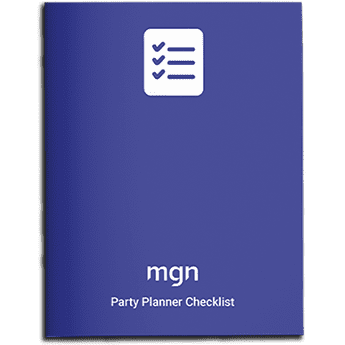 Download our FREE Party Planning checklist, which is a helpful beginners guide to planning a party.